Since its inception in 1989 as AWOCA (Australasian Workshop on Combinatorial Algorithms), IWOCA has provided a forum for researchers who design algorithms for the myriad combinatorial problems that underlie computer applications in science, engineering and business. IWOCA's ongoing goal is to advance this area of scientific achievement by bringing together the most creative and successful practitioners in this fundamental intersection between mathematics and computer science. IWOCA's sessions provide for the dissemination of new results as well as for discussion and analysis of new problems and problem areas. Both complete papers and problem submissions are subject to a rigorous refereeing process that seeks to maintain the highest standards of academic research. 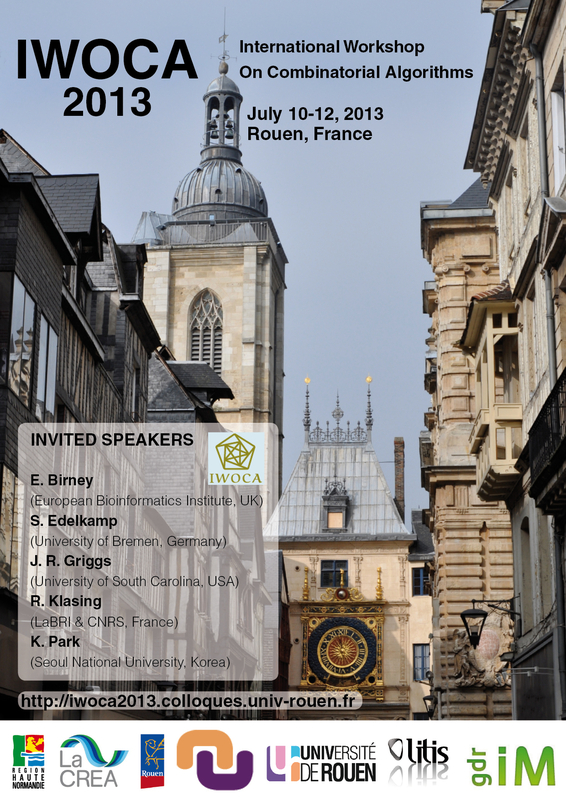 In 2013, IWOCA will be held at the Rouen University, Normandy, France. This is the first time IWOCA will be held in France. 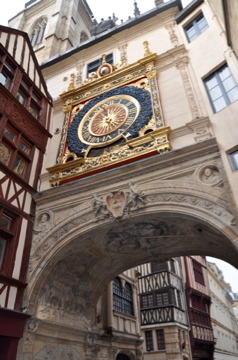 The conference will take place near the center of the city of Rouen, Normandy, France, in a conference room of the "Maison de l'Université" building (see the Practical Information section). You can download the poster of the conference here.